We enjoyed our time on Gilbert Rd! It was a nice walk to the beach, and the location of the house was great. Being so close to a lot of great restaurants in Brewster was a wonderful feature. The Oceans Edge Beach bar was a favorite of ours to go and watch the sunset from. The house itself was nice, and fit our needs. It would have been nice if the house had a wagon to bring kids down to the beach in. We had a few little kids (1 year old, 2 year old, and 4 year old) and when they were crawling up and down the stairs we found a few nail heads that were sticking up and would hurt them (and our feet if we walked on them). It would be an easy fix though for the owners. It may be nice if they could invest in a more powerful vacuum. We vacuumed a few times, and it never seemed to get up all of the sand, crumbs etc. on the floors throughout the house. Besides those few things, we enjoyed this house very much and was perfect for our week on the cape. Great Location & Great Time ! 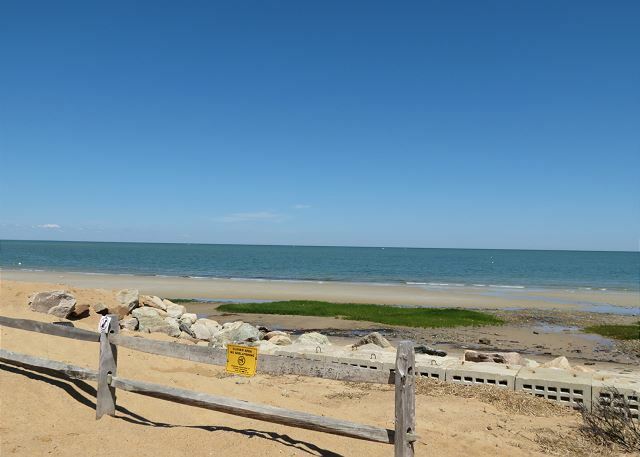 Location is great - less than 5 min walk to beach down quiet sand/dirt road. 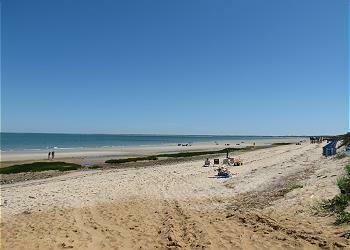 Beach with quiet water which extends out at less than knee depth for a very long distance at low tide. Very family friendly. Walking distance to shops/cafes on 6A. Home is very well equipped - particularly the kitchen. Overall - excellent experience. overall excellent and would go again, couple of small points:1. refrigerator did not seem to keep cold. 2. as it was a great week and the temperatures did hit 90 it would have been good if there was downstairs a/c. 3. toilets occasionally ran when flushed. otherwise great.